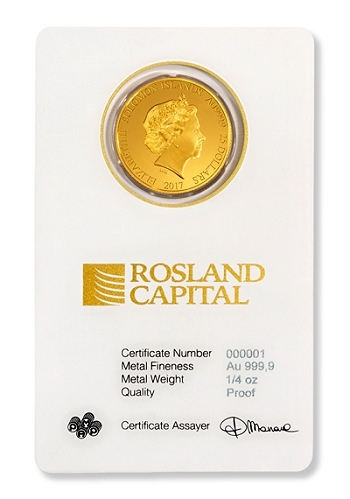 Rosland Capital was created to provide quality precious metals from a trustworthy source. Located in Los Angeles, Rosland Capital offers an assortment of precious metals and coins for purchase or inclusion in a metals-backed IRA. Rosland Capital has a mission to provide customers with solid, educational resources, as well as the latest information for them to make the right choice for their portfolios. Rosland’s core principle of providing high quality service, information, and products has allowed them to become a trusted name in the business. Rosland Capital, through affiliated companies, has been successful across the globe, expanding into Europe and Asia. In 2014 Rosland opened a London office in the United Kingdom, later opening an office in Germany as Rosland GmbH. Rosland Capital also has a presence in Hong Kong. 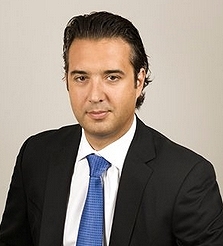 Marin Aleksov is the Chief Executive Officer and founder of Rosland Capital, opening the firm in 2008. He has extensive experience in precious metals as a twenty year veteran of the industry. After working at other industry firms and rising to the position of Vice President, Marin developed the talents and vision needed to provide top service and information to customers and founded his own company. Marin also co-wrote the Rosland Capital Guide to Gold as an educational resource in 2015. Rosland Capital has a long-established track record of excellence, with many positive reviews from satisfied customers. Rosland has a reputation for customer service and proven history of trust with customers. Rosland Capital has partnered with multiple organizations to release exclusive coin lines commemorating events, organizations, and charity efforts. 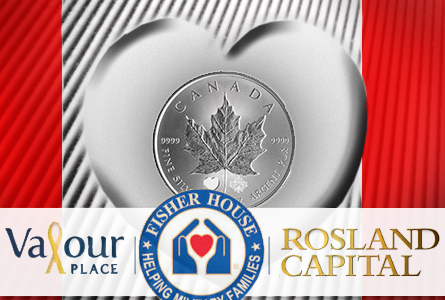 Partnering with Fisher House, Rosland released an exclusive $5 Fisher House coin in 2014, with a portion of proceeds helping to accommodate the families of veterans and service members receiving healthcare. 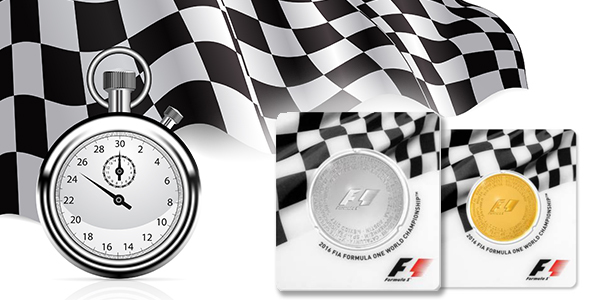 Today Rosland Capital is the exclusive distributor of the Formula 1 Coin Collection, a limited edition series commemorating Formula 1 races, circuits, and drivers. 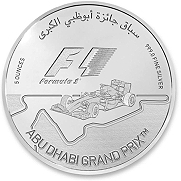 Celebrating the world’s most prestigious motor racing events, Rosland Capital offers gold and silver coins for major Grand Prixs, as well as for the 2017 circuit. Rosland has partnered with the Senna Institute to create a world-exclusive coin series commemorating the career of legendary driver Ayrton Senna–a portion of the proceeds go directly to the foundation and help provide care for Brazilian children. 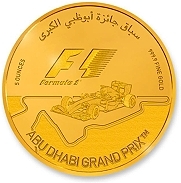 Rosland has also partnered with UK-based Williams Racing to mark the 40th anniversary of the Williams Racing team with exclusive coins in both gold and silver. Guaranteed in weight, content and purity by the U.S. government, the Silver American Eagle is the only legal-tender, pure silver coin issued by the U.S. Mint. 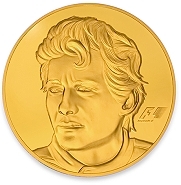 Backed by the Austrian National Bank, the Vienna Philharmonic gold coin provides investors with one of the world’s finest hard assets. Rosland Capital offers high quality precious metals in a variety of forms: bars, bullion, and premium coins are available in gold, silver, platinum, palladium, and more. Rosland works with several precious metal distributors, including the United States Mint, the Canadian Mint, PAMP, and other respected companies to offer the highest purity fine gold and silver bars as well as bullion and premium coins. Rosland Capital offers metals for inclusion in precious metals-backed IRAs. This type of IRA is a self-directed retirement account backed by real, physical gold and precious metals; precious metals-backed IRAs have been approved by the government and are becoming a more common way to save for your future. Diversifying your retirement portfolio with gold and silver can protect your assets during turbulent times, helping you weather the volatility of the stock market and weakening of the dollar. Providing the same tax benefits as a traditional IRA, a precious metals-backed IRA protects against inflation. Gold and silver represent a finite resource, creating constant demand and innate value for the world’s most coveted metals. After the Great Recession, many people lost the bulk of their retirement savings due to a loss in value of their paper assets; even when the economy looks bright, precious metals retain their core value and provide a security that paper can’t match when the economy hits another downturn. No one knows what’s around the corner–diversifying your portfolio with metals-backed IRAs and other asset forms minimizes risk from market crashes. A key element of understanding precious metals-backed IRAs is knowing that the IRS regulates what you can add to the IRA. To take advantage of this type of IRA, your firm needs to have industry experience and access to IRA-eligible metals. Rosland Capital has the capability to get high quality product for inclusion in precious metals-backed IRAs–that’s why they have the highest possible ratings from the Better Business Bureau and Business Consumer Alliance. Precious metals-backed IRAs also offer options that simply aren’t available elsewhere. Conventional IRAs typically consist primarily of stocks and bonds; they’re great when the market is healthy, but come with inherent risk if the market crashes again. Employer-sponsored 401(k)s rarely offer gold or silver as asset options either, making it difficult to diversify and expand your portfolio. If you’re looking to hedge against inflation, gold and silver are the way to go; separating your portfolio from the volatility of the greenback keeps your purchasing power high, and gold tends to increase in value if the dollar drops. Setting up a new precious metals IRA is easy at Rosland Capital: their experts are well-equipped to help with the process if you want to rollover an existing IRA into a precious metals IRA and stand by to answer any questions. The first step is always to gather information and learn more from a representative to decide if a precious metals-backed IRA fits your portfolio. After filling out an application, the Rosland team will get in touch and assist in completing forms and processes to create an account with Equity Institutional, the IRA provider. At this stage you can choose what comprises your physical metal assets for your IRA and a representative will discuss which coins can be included. After selecting your assets and funding your account, the precious metals you chose are transferred to a secure depository in Delaware. Rosland Capital helps facilitate segregated storage for each IRA-holder, so your gold and silver will be completely isolated in separate storage. Once you hit 70.5 years old you are required to take distributions. Rosland Capital’s website has a required minimum distribution calculator so you can easily see your annual distributions depending on your account balance and rate of return. Gold has captivated humanity for thousands of years. Now more than ever, adding gold to your asset portfolio provides protection against an ever-changing economic environment. As a safe-haven asset, gold retains its value as a finite resource always in demand. If the global markets crash, physical assets will become critical, and gold is the finest there is. Anywhere in the world, gold is recognized for its rarity and value, making it a borderless currency you can rely on. In an economy where inflation is increasing, guard against the rising tides with gold. Keep your assets under your control with physical gold. Rosland Capital is one of the most trusted names in the business. Rosland has received an A+ rating from the Better Business Bureau (BBB), accredited since 2008 for sound advertising and customer service that builds trust and confidence at the highest possible rating. Rosland Capital also holds the highest rating possible from the Business Consumer Alliance (BCA), receiving an exemplary AAA rating which signifies no doubt about the company’s reliability. Rosland Capital has several social media profiles and outlets used to share gold news, product info, and educational resources with customers and fans. Rosland Capital has also created multiple educational websites designed to educate and inform readers about precious metal IRAs and opportunities to purchase gold. Rosland Capital’s spokesperson is actor William Devane, known for roles including President John F. Kennedy in The Missiles of October and Greg Sumner on Knot’s Landing. William Devane stars in commercials advocating the inclusion of physical assets in your portfolio, such as gold and silver, citing the stability of gold and its resistance to inflation. CEO Marin Aleksov brings industry experience and knowledge. Rosland Capital is recommended as a trusted gold company based on history, reviews, customer feedback, industry accreditation ratings, and friendly and knowledgeable representatives. This company offers quality coins and service with attentive agents that will give you the individual attention you deserve. To learn more about Rosland Capital and your options, call their team at 1-888-748-1856 or visit https://www.roslandcapital.com.